Mark Zuckerberg announced this week that Facebook was finally going public. With the social network now filing for an IPO and looking to raise around $5 billion in cash, it's clear that the site is no longer the cuddly social network it once was. Now it is a legitimate business which is setting out to change the face of the internet forever and line investors' pockets in the process. With the filing of an IPO, Zuckerberg penned a lengthy letter to investors which outlined just what Facebook is about and how it won't change even when it floats on the stock market. TechRadar has read the letter, wiped the tears from its eyes – tears of sadness that we will never be able to afford Facebook shares – and here are the 10 things we think that the letter teaches us about Facebook. The Social Network may have implied that Zuckerberg's main reason for creating Facebook was to impress the ladies but Zuck sees it differently, writing: "Facebook was not originally created to be a company. It was built to accomplish a social mission – to make the world more open and connected." And if getting a girlfriend was a bi-product of this more open and connected world, then so be it. When Gutenberg (Johannes, not Steve) created the printing press, we're guessing he had no idea that one day his machine would inspire humans to poke each other and let the world know what they were listening to. But, according to Zuckerberg, this is where the idea of Facebook stemmed from. 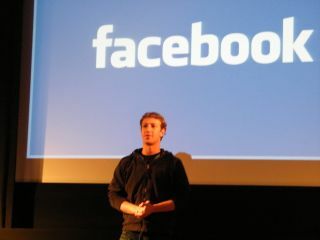 "At Facebook, we're inspired by technologies that have revolutionised how people spread and consume information. "We often talk about inventions like the printing press and the television – by simply making communication more efficient, they led to a complete transformation of many important parts of society. They gave more people a voice. They encouraged progress. They changed the way society was organised. They brought us closer together." They also brought us the Daily Mail and Jeremy Kyle, so it's not all good. To paraphrase Notting Hill, Zuckerberg was just a boy, standing in front of a screen, asking it to love him before Facebook came along. Then when he created the site he found that he could actually make contact with other people. Still through a screen, but they were definitely real. And this is at the heart of Facebook, according to the letter. "We hope to strengthen how people relate to each other. Even if our mission sounds big, it starts small – with the relationship between two people. "Personal relationships are the fundamental unit of our society. Relationships are how we discover new ideas, understand our world and ultimately derive long-term happiness." Someone pass the sick bag. The world's economy is screwed because the banks have been playing with real cash like it were a game of Monopoly. But don't worry as Facebook is here to save the day. "We hope to improve how people connect to businesses and the economy," stated the letter. "We think a more open and connected world will help create a stronger economy with more authentic businesses that build better products and services. "As people share more, they have access to more opinions from the people they trust about the products and services they use. This makes it easier to discover the best products and improve the quality and efficiency of their lives." Hopefully if Fred Goodwin is reading this, then it will remind him to change his Facebook status from 'knight of the realm' to 'no longer friends with the Queen'. Not content with being the Robin Hood of the tech world and bringing money back to the people, Zuckerberg also wants to make governments more honest. "We hope to change how people relate to their governments and social institutions," Zuck explained. "We believe building tools to help people share can bring a more honest and transparent dialogue around government that could lead to more direct empowerment of people, more accountability for officials and better solutions to some of the biggest problems of our time." Zuckerberg is a paper billionaire and everyone associated with Facebook is about to be a little richer but making money isn't the real reason behind going public. Well, it is but this money is going to go straight back into the development of Facebook. "Simply put: we don't build services to make money; we make money to build better services," wrote Zuckerberg. "And we think this is a good way to build something. These days I think more and more people want to use services from companies that believe in something beyond simply maximizing profits." Zuckerberg is taking Facebook public to say thanks to those who made it a success. No, not the Winklevoss twins, silly – the people who are working at the company now. "We're going public for our employees and our investors. We made a commitment to them when we gave them equity that we'd work hard to make it worth a lot and make it liquid, and this IPO is fulfilling our commitment. "As we become a public company, we're making a similar commitment to our new investors and we will work just as hard to fulfil it." Staying close to his coding roots, Zuckerberg used a significant chunk of his letter to tell his investors that hacking is a good thing and Facebook was built upon the ethic of letting coders do what they want. We're thinking this wasn't an invite to Anonymous to DDoS the site on a regular basis, more like pointing out that hacking can be good as well as bad. "The word "hacker" has an unfairly negative connotation from being portrayed in the media as people who break into computers. In reality, hacking just means building something quickly or testing the boundaries of what can be done. Like most things, it can be used for good or bad, but the vast majority of hackers I've met tend to be idealistic people who want to have a positive impact on the world." There's a reason why Facebook updates its site and it gets a lot of negative feedback. This is because Zuckerberg stands by the idea that you have to break things to find out how they work. This is fine if you are a small startup but when you have billions of eyes on your site daily, someone is going to notice if something is borked – not that Zuckerberg seems to care. "Moving fast enables us to build more things and learn faster. However, as most companies grow, they slow down too much because they're more afraid of making mistakes than they are of losing opportunities by moving too slowly. We have a saying: 'Move fast and break things.' The idea is that if you never break anything, you're probably not moving fast enough. Stop tweaking your privacy settings people – let the world see what you are up to. Come on, this is the reason you tell all about your meaningless life on Facebook isn't it? Well, even if you are not going to open up, Zuckerberg wants Facebook to be as open as possible. "We believe that a more open world is a better world because people with more information can make better decisions and have a greater impact," explained the letter. "That goes for running our company as well. We work hard to make sure everyone at Facebook has access to as much information as possible about every part of the company so they can make the best decisions and have the greatest impact."